Ever want to know what animals are using the trails in your woods? Or what animal is visiting the compost pile? Or maybe you do know and would just like to get pictures of these animals. 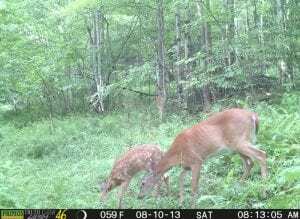 The trail camera program is a way for members to remotely obtain pictures and videos of wildlife on their property both day and night. For only $25, the Catskill Forest Association will hang two trail cameras—one to capture video, the other to capture still photos of animals, small and large, day and night. You will be surprised at the cool animals you didn’t know were out there!